Positively impact thousands of lives every day! 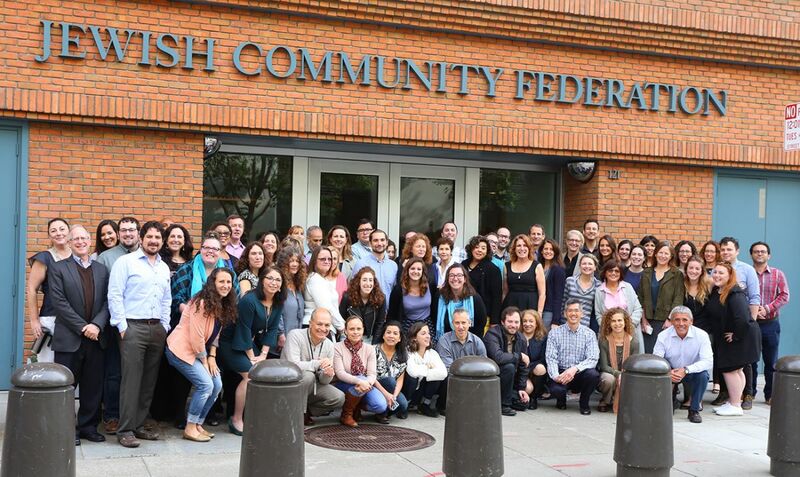 The Jewish Community Federation and Endowment Fund is the central organization for fundraising, planning, outreach, and leadership development for the Bay Area Jewish community. The Federation’s approach is to foster creativity and cooperation in the pursuit of a common goal – to ensure the survival and growth of the Jewish community at home and overseas. We’re located in San Francisco's financial district (unless otherwise stated), with close proximity to public transportation, great restaurants, shopping, food trucks, and theater. Plus, we’re right across the street from the Ferry Building, which is acclaimed for the quality and diversity of its fresh farm products and artisanal foods. We provide employer-sponsored medical, vision and dental coverage, company-paid life insurance, 403(b) retirement plans with employer contribution, flexible spending accounts, health savings accounts, and tax-free deductions for transportation and parking. We offer competitive pay and provide up to four weeks of vacation, as well as sick pay, flexible work schedules, federal and Jewish holidays off, and a paid sabbatical. We have an inclusive, collaborative, open culture that values people as our greatest asset – that’s why we encourage growth and professional development. We have staff and peer recognition programs and provide ergonomic assessments and accommodations. There is lots of space for your bike, we know how to throw an awesome holiday party, and, when the sun is out, we have amazing rooftop BBQs with a view that spans the entire Embarcadero. We also enjoy a healthy dose of competition when it comes to baking cook-offs and, yes, we even share those recipes. If you’re bright, driven, and enjoy working with a talented group of people in a learning-friendly, rapidly evolving environment, we want to hear from you.